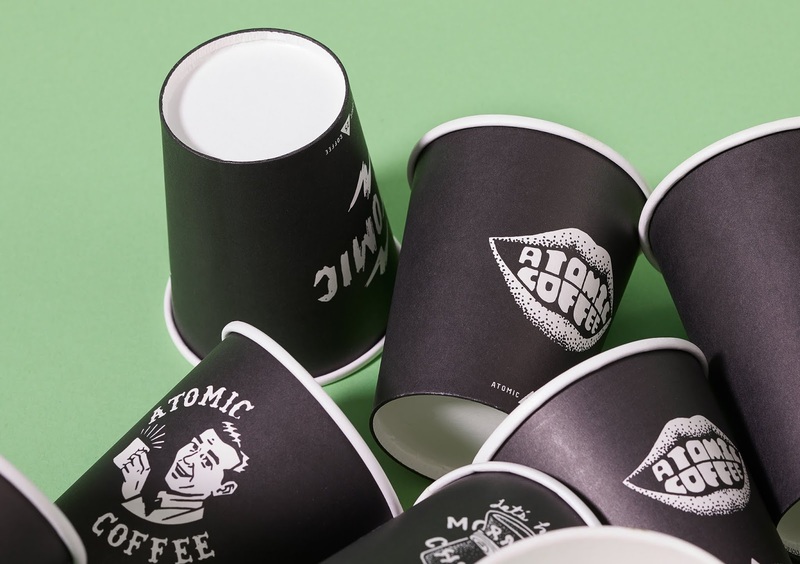 Now a central Auckland institution and wholesale supplier up and down the country, Atomic Coffee began as a place where artists and creatives spent their time – back before cafe culture was popular. 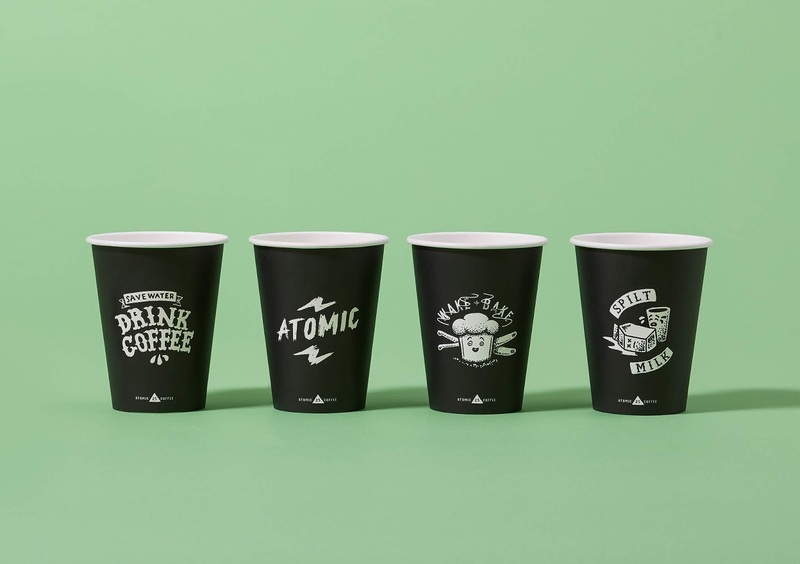 In 2017, Atomic celebrated its 25th birthday and wanted an edgy, fun campaign to mark a quarter-century in business and increase sales at the same time. 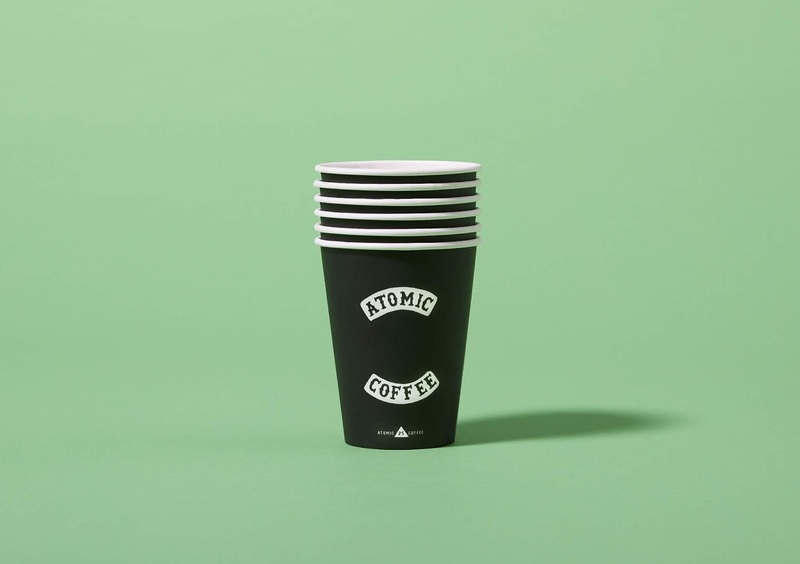 Our aim was to utilise Atomic’s takeaway coffee cups as the driver of the campaign; by creating a memorable talking point we could organically grow awareness of the brand. 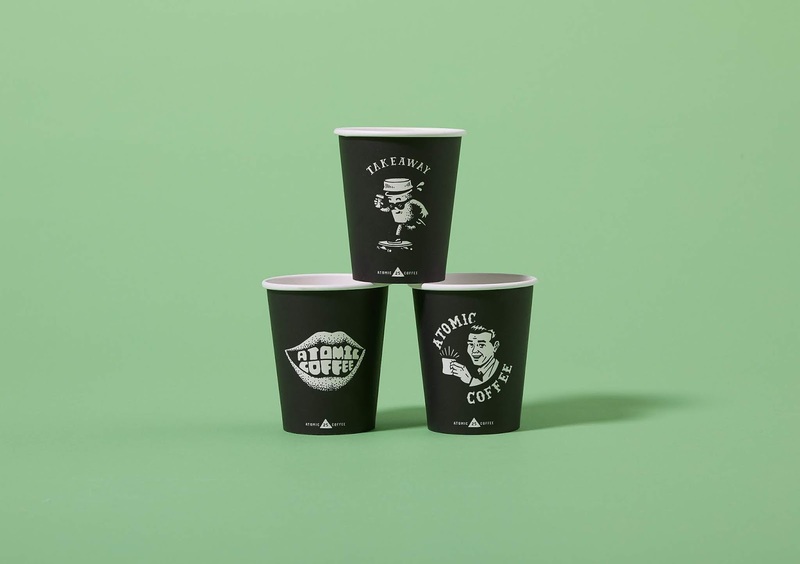 We created a series series of illustrated logos and coffee puns that could be easily translated across a range of collateral, including Atomic’s caravan and apparel such as T-shirts, badges and caps. To create hype, the images and associated messages were deliberately bold and provocative. 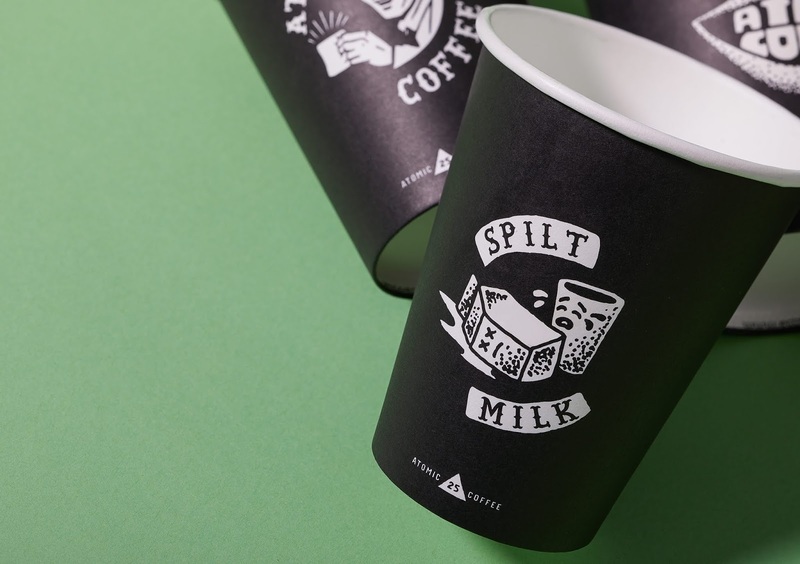 The black and white colour scheme was visually compelling and the illustrations were inspired by stick and poke tattoo flash sheets. 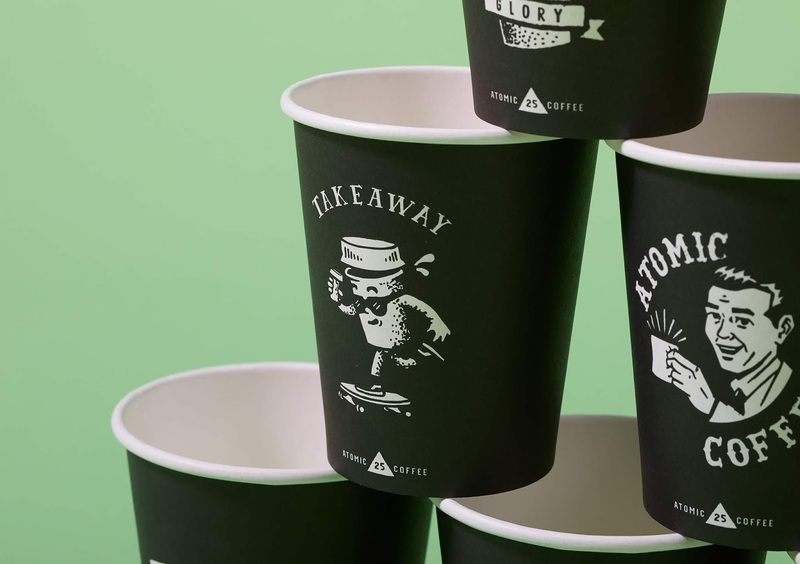 The nostalgic, retro tone was designed to speak to Atomic’s original target audience but still appeal to today’s youth and prompt them to get involved. We used light humour (e.g. 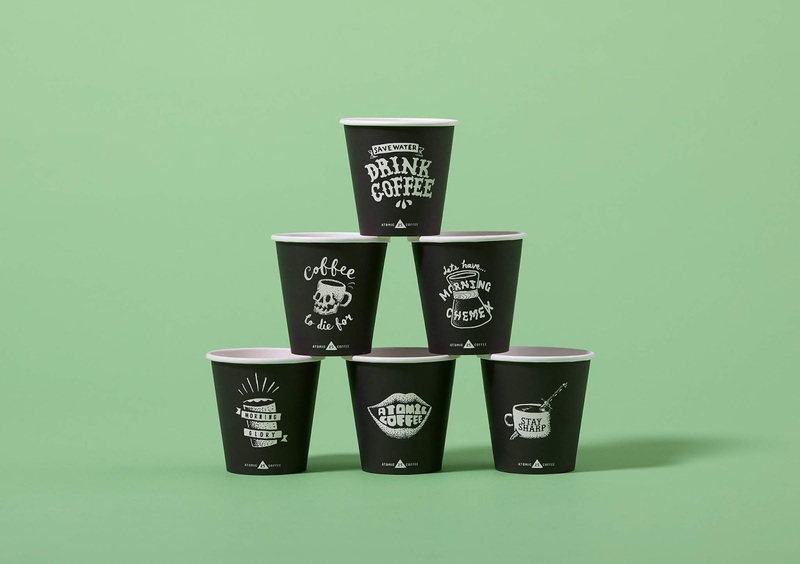 ‘Save water, drink coffee’) to soften the campaign’s tone, while inspiring people to talk about the cups and share on social media. 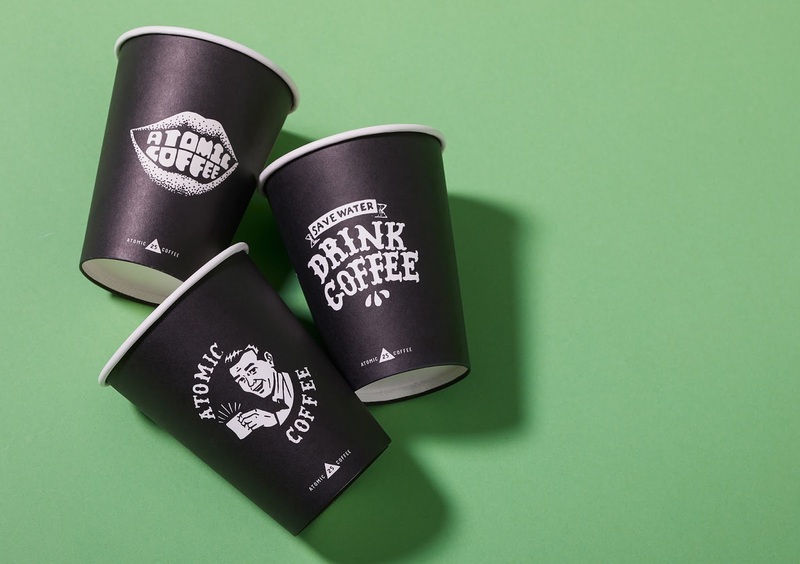 Being a little different to what people are used to seeing on takeaway cups, the illustrations helped build excitement and enthusiasm. 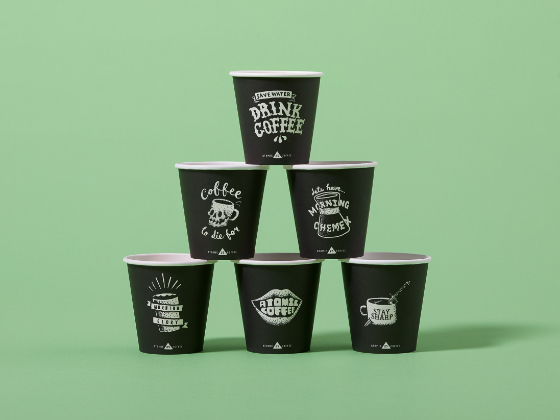 The different images also formed a series of 12 different designs, encouraging customers to collect the set. 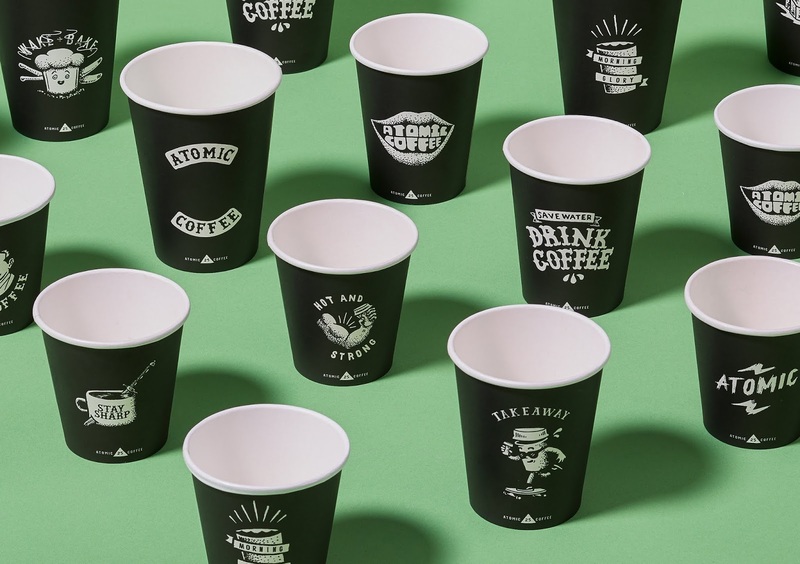 Being a seasonal campaign, this was a chance to do something different and break the usual rules of the brand – engaging existing fans through nostalgia while growing Atomic’s audience. 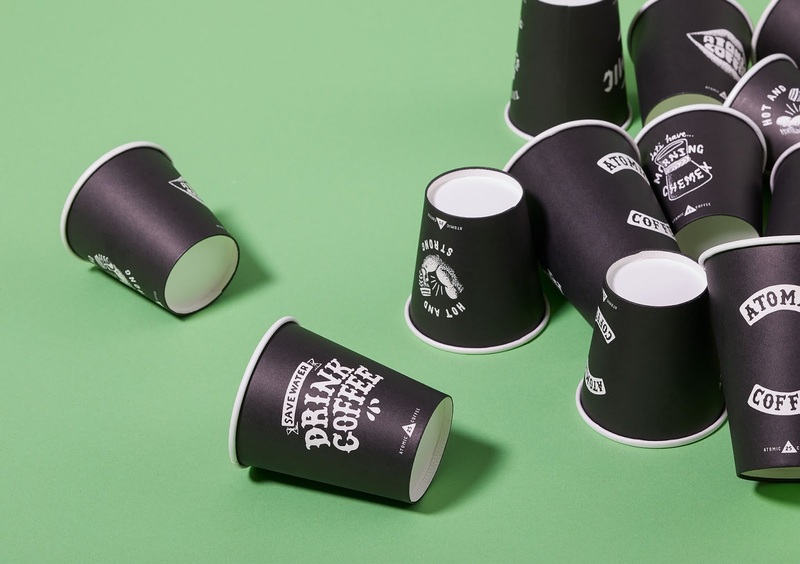 As a celebration of the company’s origins and passion for coffee, the campaign needed to be attention-grabbing and humorous while building on the existing brand’s dark, artistic vibe.